Remo M4-1075-N6-D3 Conga Skin Nuskyn 10,75"
The Remo M4-1075-N6-D3 Conga Fell Nuskyn in 10.75" produces a warm sound, characterized by bass and mid-range with a generous proportion of bass and a defined response. 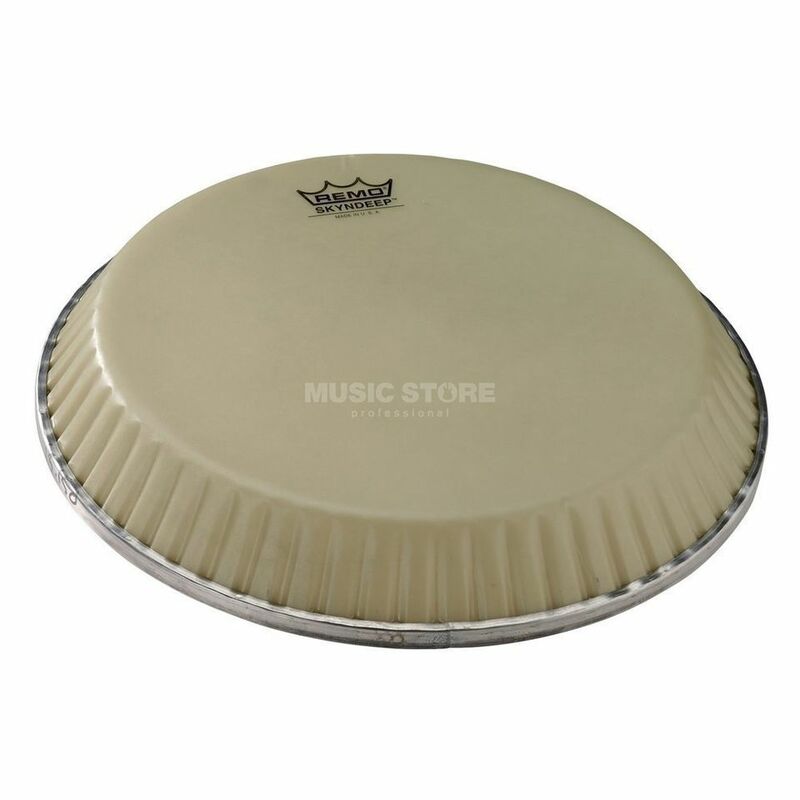 It is suitable for professional percussionists that it guarantees longevity and tuning stability. The Conga sound becomes very deep and voluminous with the Remo M4-1075-N6-D3 Conga Fell Nuskyn in 10.75", but at the same time does not lack the necessary differentiation. It delivers crystal-clear signals and is therefore particularly suitable for use on stage and in the recording studio. Made of plastic, the coat for congas is much more stable and tuneful than alternatives made of leather.